You could just put the candy in bowls for a sugar-charged breakfast, but why not be a little more creative? Whether they’re dyed, painted, plastic or—best-case scenario—chocolate, every good Easter celebration includes Easter eggs. Here, seven fun facts about the decorative eggs we love to hide. 1. Decorating eggs is an ancient tradition. Archaeologists found fragments of carved ostrich eggs used as drinking vessels from 60,000 years ago in Africa. 2. In Germany, people dance with eggs. The egg dance is an Easter tradition in Germany. People put eggs on the floor and dance around them, trying not to break any. 3. The world’s biggest Easter egg was more than 34 feet tall. 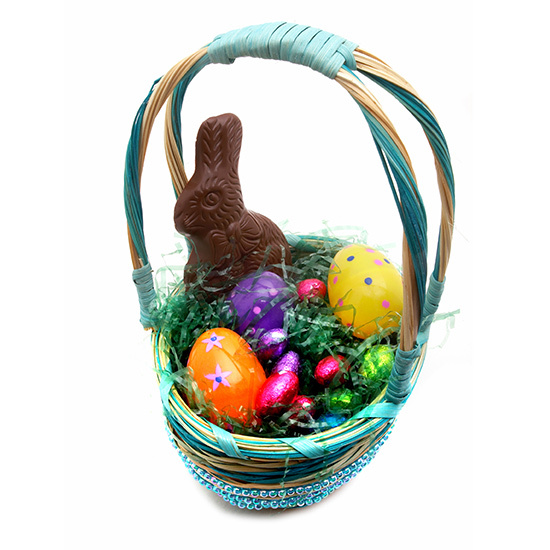 According to Guinness World Records, the chocolate egg weighed 15,873 pounds. It was made in Cortenuova, Italy. 4. Before plastic, Easter eggs were made with cardboard. During the 17th and 18th centuries, fillable eggs were made out of cardboard and covered with satin. 5. There’s a reason some chocolate eggs look like dinosaur eggs. The scaly, crocodile-skin texture you see on many chocolate Easter eggs was developed by German chocolatiers as an easy way to disguise any imperfections. 6. The most expensive chocolate Easter egg sold for more than $10,000. Weighing in at 110 pounds, the Venezuelan Amedei chocolate egg was decorated with gold flowers and chocolate pieces in unusual flavors like Japanese black vinegar and cassis. 7. The world’s largest Easter egg hunt consisted of 501,000 eggs. Nearly 10,000 children participated in the hunt, which was held in Cypress Gardens Adventure Park in Winter Haven, Florida.